It’s March 21, 2019. Today, my nephew Hunter would be turning 2 years old. He would be putting words together in short sentences. He would be running around as a chunky little toddler. My daughter would be happily taking his hand to go on adventures, teaching him the alphabet and reading books with him. Instead, we only have the memories of the 5 months and 1 day we had before his life was taken away by a horrible crime. This is why I wrote Hunter’s Special Squawk. I needed some way to make sense of it all. Something to remind me of the light from his life. Something to share with my daughter when she couldn’t sleep at night, crying about her confusion over why he had to die. 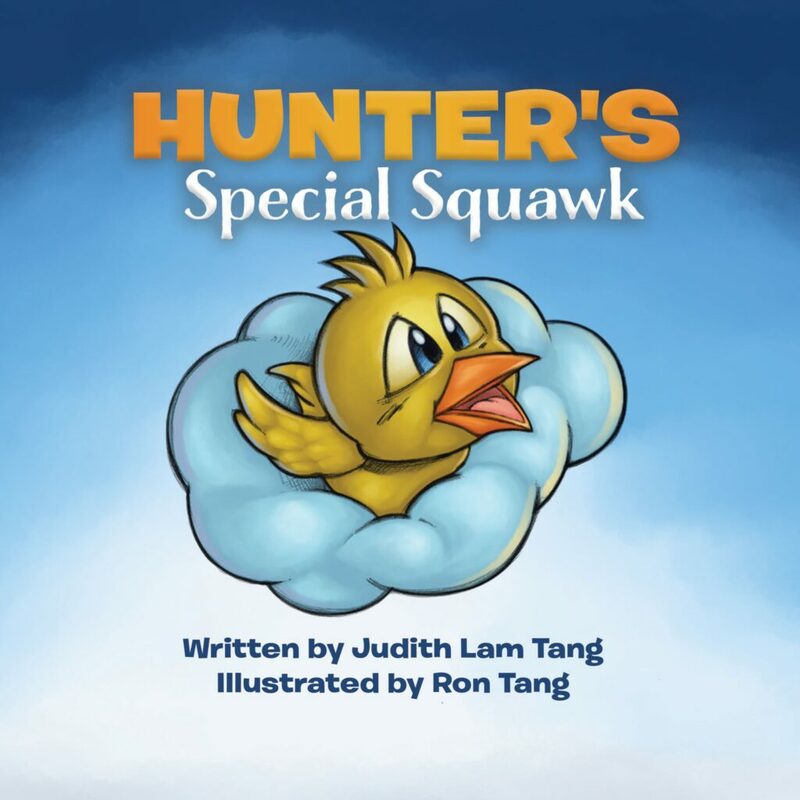 On Hunter’s birthday, my husband Ron and I have launched Hunter’s Special Squawk Kickstarter campaign. We decided to self-publish the book, so it is available through Amazon.com or Amazon.ca and other online retailers. But we really wanted to make it easy for local Edmontonians to get copies, because we have experienced so much support and comfort from our local community of grief. In order to make it as cost-effective as possible, we are using a Kickstarter campaign as a way to ensure we can do a larger print run and still provide the book at a reasonable price. Please check out our Kickstarter campaign here. There are a several pledge levels available so that you can choose what you want! We can’t wait to share the story of Hunter’s Special Squawk with you. Happy 2nd Birthday, Hunter! We love you!